Local marketing can be a complex task for national brands working across many different regions. Suddenly, the task of making sure sales channels have the tools and resources they need to connect with consumers and sell your company’s products and services can seem like a daunting challenge. 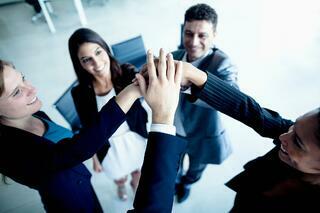 At Vya, we’re committed to working with our clients to develop solutions and systems that work. Our team works alongside you, your company and within your systems to deliver tools that will simplify marketing workflow and make local marketing easy again. 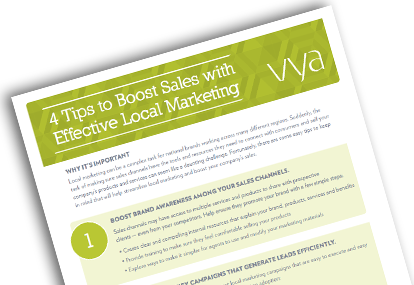 Download our one-page tip sheet for simple ideas on how you can increase local sales with stronger relationships and streamlined marketing operations.